Tairua’s laidback, family-friendly style makes it a major Coromandel drawcard over the Kiwi summer. Blessed with a beautiful ocean beach made for sur­fing, and a wide safe estuary for canoeing, stand up paddleboarding, and swimming, there’s something for every water baby here. The Coromandel Peninsula, on the north east coast of the North Island, is just over two hours from Auckland. The short drive from the city is a pilgrimage that many make on long weekends and during holiday seasons which creates a buzz around “The Coro” when communities welcome visitors with special events and extra activities. However, most of the time, The Coromandel is a quiet place away from the hustle and bustle of the city and close to a number of gorgeous beaches and beautiful bush. 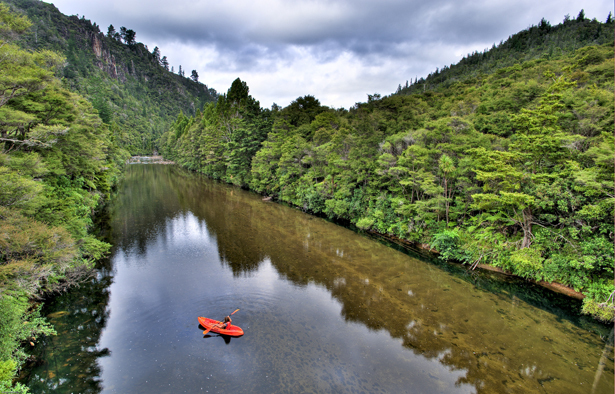 For those who seek adventure in the bush, a short drive in any direction from Tairua offers up a plethora of interesting and varied hikes and trails. Head to the Broken Hills as the gold diggers once did and explore the hills and tunnels of a forgotten time, or make a beeline for the coast, trekking over hill and down dale to discover some of the region’s most secluded and undiscovered spots. Community spirit is alive and well in Tairua, a proud and bustling little town, packed full of stores to meet every need. Relax with a coffee at one of the many great cafes, or settle in for a beer at the ever-popular Flock in town. Take a stroll up Paku to get 360 degree views of Tairua, Pauanui, and the coastline which continues as far as the eye can see. At the base of Paku the new marina is home to the Marina Bar and Grill, a great spot for some craft beer and fresh Coromandel seafood. 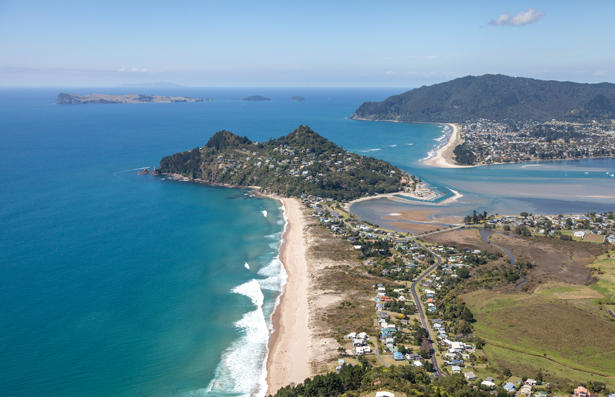 With most Coromandel towns, the beach is the jewel in the crown and the same can be said for Tairua. The popular surf beach offers great waves for surfers but also a fun setting for families to enjoy a\ hot summer day. The beauty of Tairua is that if the surf gets too big the nearby estuary offers a sheltered spot for swimming and at low tide a great spot to collect shellfish such as pipis and cockles. The Coromandel is famous for its seafood so you can expect to find plump scallops, fresh fish and mussels on menus all over the Peninsula. For those keen to explore offshore, Slipper Island is a short boat trip from the Tairua Harbour where an island paradise waits. Slipper Island Resort offers a range of accommodation from a large lodge to rustic camping options; you can even book the whole island for less than NZ$2,000 per night with up to 10 people. Tairua is perfectly located to explore the rest of The Coromandel Peninsula so iconic spots like Cathedral Cove and Hot Water Beach are just a short drive away. 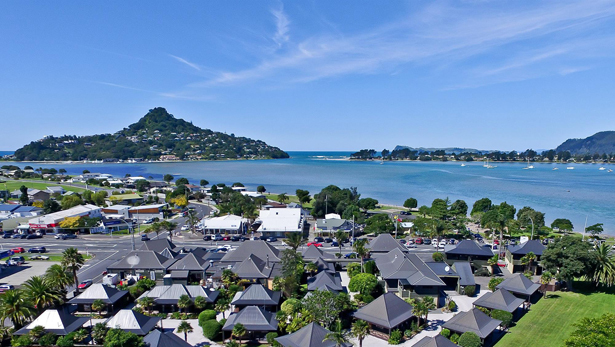 If you’re planning to visit Tairua why not book your stay at the Award Winning Paci­fic Harbour Villas offering a variety of luxury yet affordable accommodations set amongst beautiful gardens near the renowned Tairua Harbour. It doesn’t matter if the stay is short or long term, Tairua is a charming spot with friendly locals on some of New Zealand’s prettiest coastline. Editorial and Images credit: Ben Rogers at Tourism New Zealand.